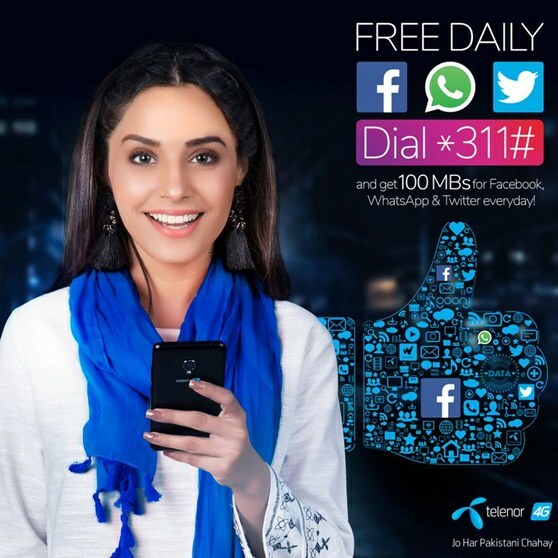 Telenor has launched free daily internet (Facebook, Whatsapp and Twitter) up to 100MB per day for its prepaid users. Zong has already launched unlimited free Whatsapp for its customers. How to Subscribe Free Daily Internet Offer of Telenor? Dial # and get free 100MBs for Facebook, Whatsapp and Twitter everyday. This 100MB will expire everyday and you have to re-subscribe this offer daily. Third party and external links will be charged separately. Data usage above 100MBs will also be charged as per your package plan.